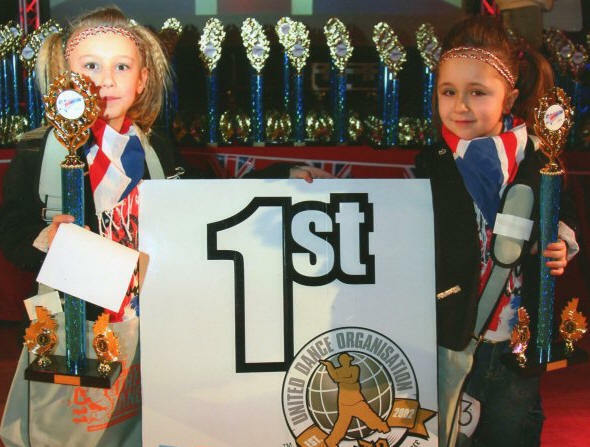 DanceDomain attend competitions in Street Dance and Freestyle Dance. The galleries below show images and results of these events. Once again our dancers smash it! what amazing results click the banner below. 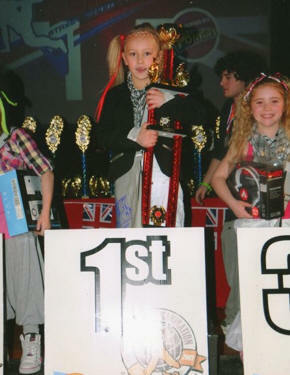 A small selection of pupils went off to compete in the UDO British Street Dance Championships. All danced amazing all done very well, bringing home 4 British Championship Titles. One amazing achievement was Arron who made it in the Top 10 out of 121 dancers in under 14 Intermediate section against some amazing boy dancers (we await images) many dancers made semi-finals and this was an achievement in itself, as this is a big event with the best of British! 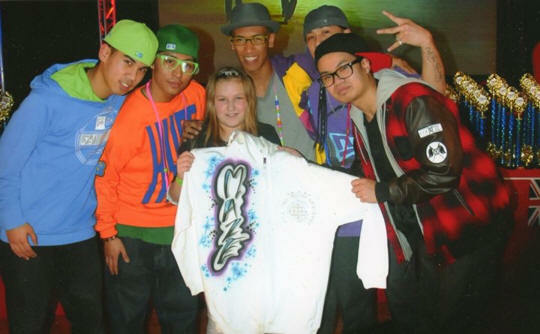 Above: Winners of the BBC Program "Move Like Michael Jackson" Animaniax present Maze with her new graffiti hoodie that was purchased by the parents of DanceDomain as due to emergency operation Masie was not able to perform at the British Street Dance Championships events that she had been entered for after working hard towards this event. 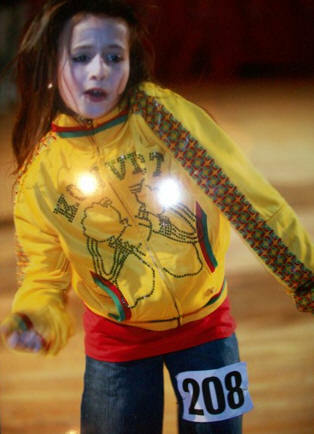 Above: Nancy Age 6yrs brings home British Street Dance Championship Title for her performance in the Intermediate section, up against some great little dancers, Nancy is a star in the making we reckon. Above: Jodie age 9 in action, you can see the end result below, simply outstanding. Well done. 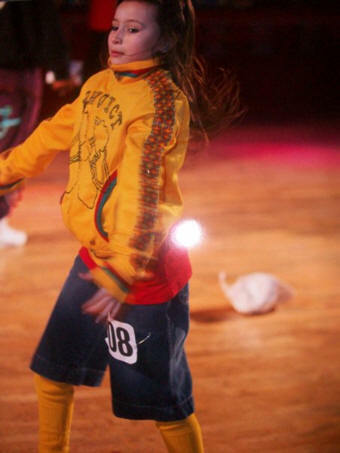 More images of other dancers will be added as they become available. 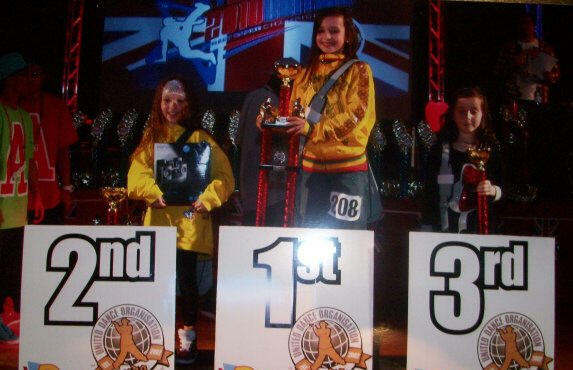 Above: Jodie (centre) Age 9yrs brings home British Street Dance Championship Title for her performance in the Under 10 Intermediate section, she was really up against a large number of dancers and had to perform around 8 times before making the final, just seeing her in the final was enough for her mum and dad, but she really gave it her all and impressed the judges with her different styles and energy with end result being 1st! Above: Shula & Nancy totally rocked in there Duo performance, and everyone's eyes was on these cheeky two, they really danced well for such young performers, and as you can see was successful with another win. Shula also gained 3rd in the British Street Dance Championships and one judge asked if he could take her home as her cheeky smile just added to her excellent performance. Images of the Quad Performance to be uploaded soon! 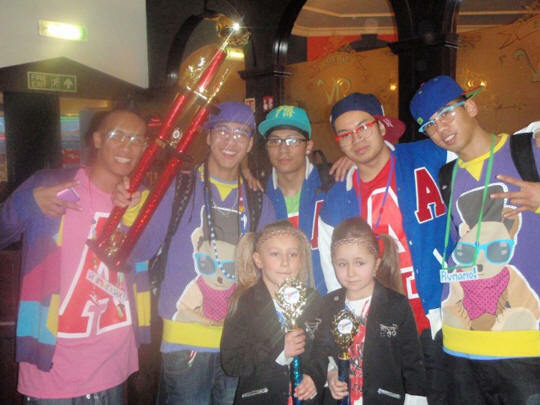 Above: Mark Calspe (Sky 1's Gotta Dance) and from Anamaniax took a big liking to Nancy & Shula cheeky performance, The Trophy is bigger than the Girls! Please note while we try and add information and images from all the events we attend sometimes it is not possible. We apologies if the event you wish to see is not listed. All images are the property of DanceDomain. 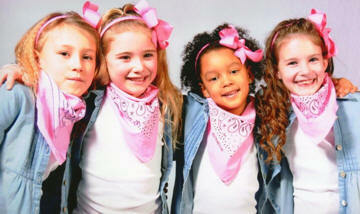 Galleries of Shows and other events we have performed at. Westwood Cross "Turning on the lights"